Without seeming to get bored. And you feel very much ignored. They suddenly whip out their pencils and scribble down a word or two. Because you don’t really comprehend the things they do. That won’t happen…that can’t happen. Things that simply cannot ever be. As it skims over life…as it refashions people. As it manufactures magical things. They’re involved in the miraculous miracle of creation. They are the queens and kings. It is to these worlds that they extend an invitation. And with an artist’s elation, it is you that they invite. To view their paintings…their sculpture….their poems…their plays. Their work of arduous hours and days. And how they envision their dream-life to be. They spend more time alone, it’s true. Quite as much as you would like them to. That you’ll give them all you’ve got to give. You’ll be there when they need you. You’ll love them, and you’ll understand. That you…you are the great receivers. When you give, you get back many fold. Copyright © Shelly Reuben, 2015. 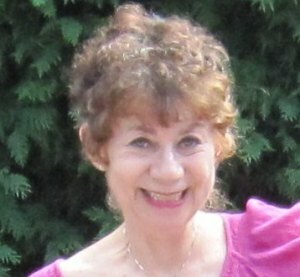 Originally published in The Evening Sun, Norwich, NY – evesun.com Shelly Reuben has been nominated for Edgar, Prometheus, and Falcon awards. For more about her books, visit www.shellyreuben.com.